This work blings to life an imaginary animal from where it had been laid to rest as a corpse in the human mind. 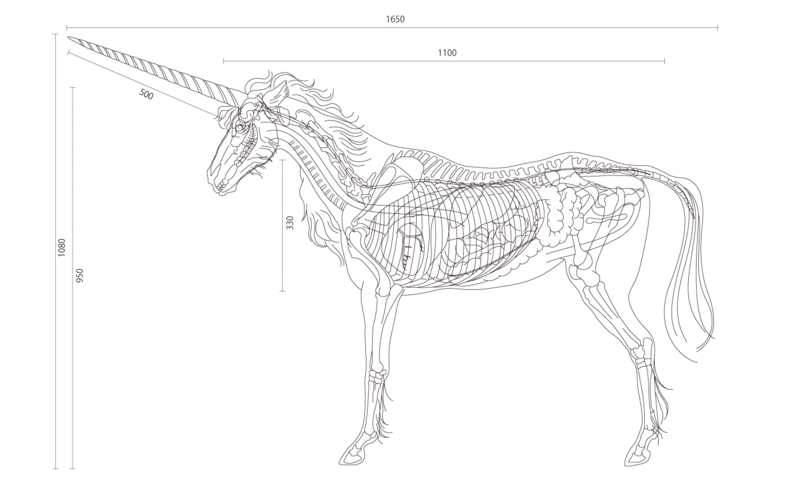 Creating the forms of its skeleton, internal organs, muscles, skin, and other body parts, pumping air into its lungs, and giving circulation to its blood, it breathes life into the unicorn the symbol of purity. This also serves as a moment to revive our lost dreams, hopes, and imaginings. Copyright © 2018 Mami Hirano All rights reserved.